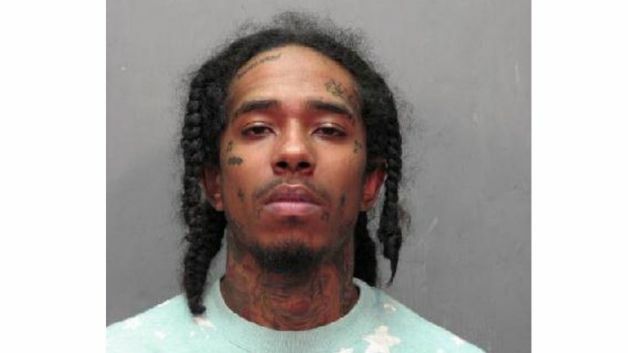 Young Money rapper Widner “Flow” DeGruy and two others were indicted on murder charges Thursday for the Memorial Day double murder of brothers. New Orleans police took DeGruy into custody Friday along with his girlfriend, Jamya Brady, who is accused of helping him elude cops. DeGruy was initially arrested and released in July after posting $500,000 bail. The 23-year-old stands accused of killing friend Kendrick “Muddy Cup” Bishop, 22, and his 18-year-old brother, Kendred Bishop. Police say DeGruy dropped his cell phone at the murder scene and returned with a lie about dropping the device. He later changed up his story, according to The Advocate. Alleged accomplice Jonathan “Lil Joe” Evans, who is also charged in the murder indictment, has been behind bars since July. The fourth suspect, Chantell Edwards, faces accessory to murder charges, though police have yet to track her down. Evans and DeGruy were reportedly identified through surveillance video from the crime scene. Both men gave fake names upon their arrest. DeGruy also goes by the name Esho Hero, which is a nod to his East New Orleans roots. He made an appearance on Lil Wayne’s Sorry 4 the Wait mixtape and was working on a new solo mixtape.